BlackBerry has a mixed history with its all-touchscreen phones. The reason is simple: the company has made (and continues to make) handsets with the best physical keyboards going, which is arguably a large part of why it has such a loyal fanbase. Times change, though, and the company has had to adjust and adapt over recent years. Before its recent switchover to Google's Android operating system, BlackBerry's BB10 system - as nice as it is to use - simply doesn't offer key features, like access to lots of apps. With Android at its core, touch-focused use was perhaps an inevitability. Initially the company's touchscreen devices, sold under the DTEK banner, were simply Alcatel Idol clones that cost more than their Alcatel equivalents. 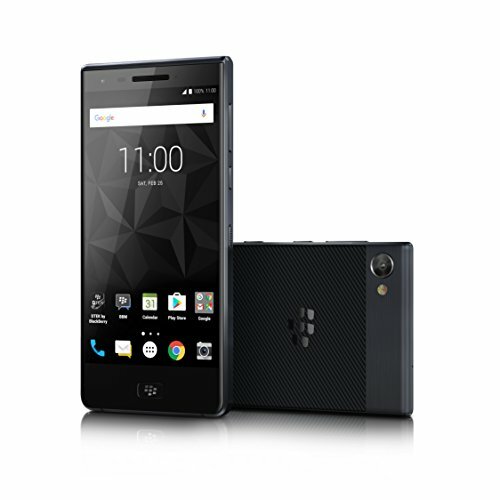 Now, however, comes the first unique all-touch BlackBerry device running Android: the BlackBerry Motion. If there's one thing that's key for BlackBerry-branded devices, it's that they have to look and feel different to the mainstream. Despite being an all-touchscreen device without a physical keyboard, the company has definitely achieved that in the Motion. Parts of the design are reminiscent of the KeyOne launched earlier this year. Rounded corners at the bottom are juxtaposed with the right-angled square corners on the top. What we really like about the Motion's design is the blend of materials and colours. The dark grey aluminium sides and bottom edge are completely flat and finished with the usual angled, polished chamfers. Combined with the flat, nano-diamond coated glass on the front the handset has a restrained but sophisticated aesthetic. This look is further enhanced by the soft-touch, textured Kevlar-like finish on the back. On the whole, it's a design that's unique, classy and understated. Despite its large size, the Motion is still light and easy to carry around. It's not entirely ergonomic, but in two hands, when typing away, it feels effortless. However, there are two issues that detract from this otherwise great look and feel though: the large chin, or bezel, below the display is big; and the choice of home button design just isn't right. The home button - complete with its embedded fingerprint sensor - has a BlackBerry logo on it, front and centre, which detracts from the phone's otherwise sophisticated look. What's more, the home button feels a bit spongy and unbalanced when pressed - there's no solid click, and it moves unevenly from side to side. As screens go, the Full HD 5.5-inch panel on the Motion is pretty standard in this day and age. Being LCD means it doesn't have the vibrant, punchy colours or contrast of the OLED panels as found on devices like the OnePlus 5T, but it's still a good display. Although colours are restrained, they seem natural and the whites are crisp, if a little cool. With a user interface that's predominantly white with clean text and simple, professional design, this LCD panel makes a lot of sense. It's not fussy, and just gets the job done. That's not to say you can't enjoy media on it. It's big and bright enough to ensure any of your daily Netflix catch-ups or Angry Birds marathons are enjoyable. In fact, side-by-side with the Apple iPhone 8 Plus, it gives the more expensive iOS device a run for its money. Currently, the Motion runs Android Nougat with BlackBerry's suite on top. BlackBerry has built a reputation for keeping a mostly clean experience - its own additional software enhances and adds useful tools, rather than detracting with a bootload of bloatware. With BlackBerry's Android efforts being built around security, it makes sense for the company to keep the DTEK app it originally launched on the BlackBerry Priv more than two years ago. DTEK lets you easily and conveniently view and monitor any security threats. The home page of the app gives you the brief overview of the phone's security state, but digging deeper gives you more control. You can view how many times an individual app has requested access to your location, camera, microphone or any other component that requires permission to access. If a random app that shouldn't need it has been accessing any of these, you can see that, and then block its access to those features. Continuing on the security focus, there's a feature called Privacy Shade. When activated it blacks out almost the entire display, leaving a window over the portion that you want to read. This "window" can be a long slit across the display, or a circle in a specific area, and can be resized and moved to the area of the screen you want to see. It's really useful if you regularly read sensitive information and don't want others reading over your shoulder. BlackBerry Hub is another one of those unique BlackBerry features, which continues on from the legacy it left back in its BBOS 10 days, acting as an inbox for all of your notifications in one place. Any common social networking or messenger accounts can feed into this too. In the Hub you can select different colours for each account, manage email settings and so forth. However, it's not perfect. With a lot of the notifications, instead of letting you continue the conversation from within the Hub, tapping a message takes you to the third-party application that the notification is coming from. It would be wonderful if it was a true multi-platform communication app, but for now, it does the best it can. Virtual keys better than physical keys? Since there's no physical keyboard on the Motion, BlackBerry has included the software keyboard that was first introduced on the BlackBerry Z10 a number of years ago. It looks similar to the company's clickety QWERTY one, but is impressively versatile. As you type, by default, the keyboard shows up predictive words above various keys that it thinks you're likely to use next. These change as you type them and, while it looks messy, it can be time-saving to use them. Just swipe up on the letter that's showing the word you want and it's typed. If you want, you can add multiple languages and save various single and dual-language keyboards, then switch between them as required. You can also activate the swipe-like feature that lets you glide over the letters in one single fluid motion, as you can with most software keyboards. The keyboard is not just a typing tool, however, it also has other tabs that you can launch to access secondary features. There's a clipboard that automatically populates with any items or text that are copied. There's a voice dictation interface, an emoji tab, and a joystick-like tool. Arguably it's this selecting/directional pad tool that's the most useful. It's a little virtual joystick that you can use to move the onscreen cursor up, down, left and right. You can then select words and items to copy-and-paste them. It's almost like having a mini mouse built into the software. It's no surprise that in a mid-range price, with the standard mid-range display, there's also the 2017 standard mid-range processor. Like so many others, that's the Snapdragon 625 platform, paired with 4GB RAM. While the processor itself has been impressively consistent in most phones we've tested it in, the Motion hasn't been perfect in this regard. General day-to-day use is mostly effortless, although most animations and transitions show minor amounts of stutter. It's definitely not as smooth as the high-end devices. What's more, once or twice in our testing an app would just hang and become unresponsive. It wasn't a daily occurrence, but it's something we've seen more than once. It's rare to find a phone promising a "two-day battery life" that actually delivers. But in the case of the BlackBerry Motion, it rings true. BlackBerry touts this phone's 4,000mAh cell as being capable of delivering more than 32 hours of use, which in our testing it has comfortably achieved. With what we would consider moderate use - checking email, using Slack, browsing the web, and the odd spot of gaming - the Motion quite easily made it through to the end of a second day before needing to be plugged in. A big part of this, of course, is the sheer capacity of the battery. It stands to reason that a battery that's around 30 per cent more capacious than the average smartphone is able to last longer. The other part is BlackBerry making full use of Android Nougat's built-in optimisation that keeps battery consumption to a minimum, especially in standby mode when it's sat on a surface, or in your pocket. For those who consider themselves heavy users, the Motion will easily make it through an entire day and likely still have some juice left at night. When it runs out, you can plug it into the Quick Charge 3.0 adapter and have it topped up again in little time. In years gone by BlackBerry's brand name was synonymous with having sub-par camera performance. At least, it was until the KeyOne, which was equipped with a decent enough shooter for sharing images on social media. We expected good things from the Motion's camera, but have been let down by the experience of using it. It's a phone that makes you work a little harder than you should have to, in order to achieve good photos. In this day and age, pressing the shutter button usually means a photo is captured and saved within a blink of an eye. With the Motion, more times than not, that's not the case. The shutter reaction speed is slow compared to most other smartphones we've used. Results are quite often blurry or out of focus, too. There is a manual mode, and were able to get some really nice looking macro close-ups lined up, until the shutter button was pressed, and that slow reaction and the tiniest hand movement meant by the time the image was captured, the object was blurry. HDR (high dynamic range) photos often showed up with bright blue halos around objects with sky as the backdrop, or just failed to adequately bring out any detail from the dark, shadowed areas of photos. It was possible at times to get nice, sharp and natural images with balanced colour and good dynamic range, but throw even the slightest bit of a challenge its way in automatic mode and the Motion's camera struggles. Clearly then, the Motion's camera experience is one that leaves lots of room for improvement to catch-up with the latest and greatest. That phase-detection autofocus and the image processing unit clearly aren't quite up to scratch. However, it doesn't prioritise top-end power or camera capabilities, which holds it at arm's length from being the greatest Android handset around. If you're looking for the absolute best all-round phone for around £400 then look towards the OnePlus 5T, which runs circles around this BlackBerry in almost every regard. The Mate 10 Pro offers great battery life and a big, beautiful display in a big, beautiful body. It costs more than the BlackBerry but it very proficient, powerful and has a great pair of cameras on the back. Looking for a BlackBerry? Then this really is the one for you, particularly the Black Edition which is both stealthy and attractive in matte black. It's also got more RAM than its silver counterpart, so is slightly speedier too. Its battery life is brilliant and we had fewer performance issues with the KeyOne than with the Motion. If what you're really after is the best phone available for around £400, the OnePlus 5T is arguably that. It's more powerful, has a better camera and a bigger, more vibrant display than the BlackBerry. If you really miss some of the BlackBerry software, it's available to download as a suite on the Play Store, so you can get the best of both worlds.